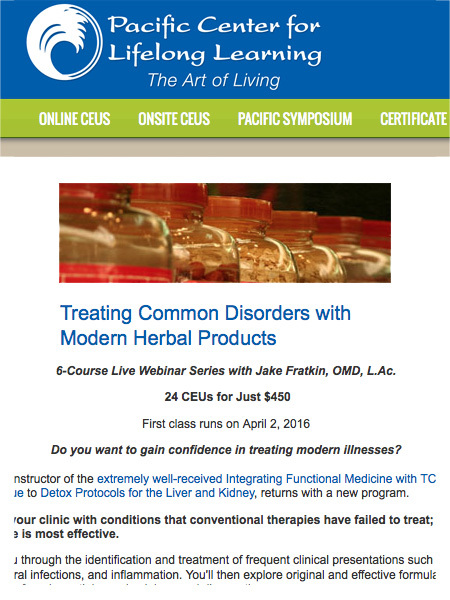 Treating Common Disorders with Modern Herbal Products – The Complete Series – or click to purchase individual classes listed below. 24 CEUs. For information go to Pacific Center for Lifelong Learning. Connect here. 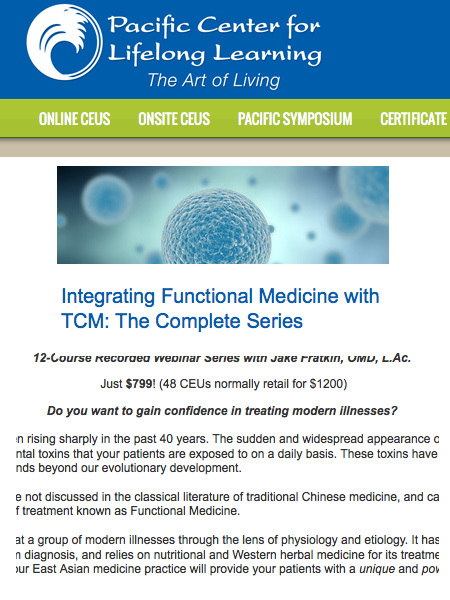 Do you want to gain confidence in treating modern illnesses? 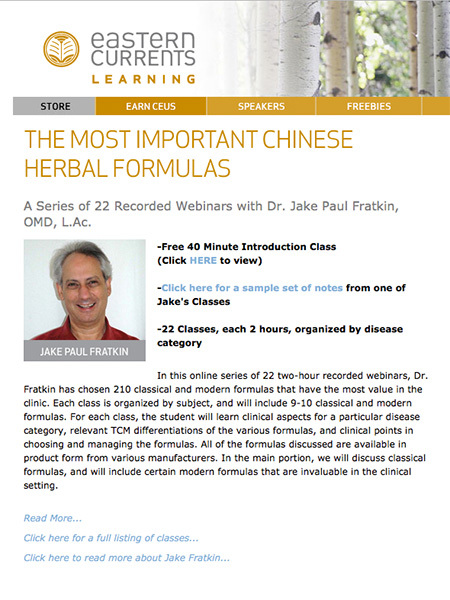 Many patients come to your clinic with conditions that conventional therapies have failed to treat; these cases are where Chinese herbal medicine is most effective. 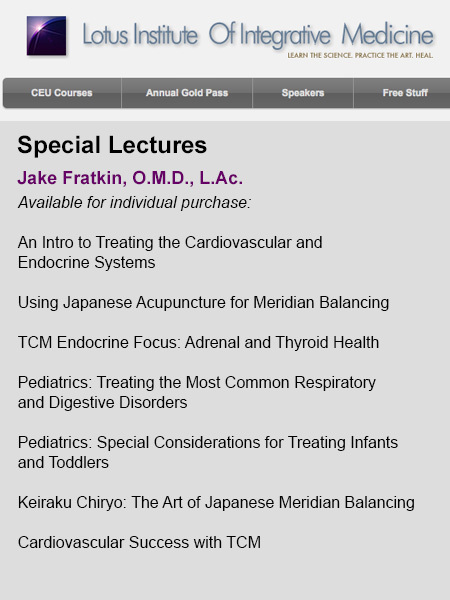 Jake Fratkin will guide you through the identification and treatment of frequent clinical presentations such as gynecological disorders, bacterial and viral infections, and inflammation. 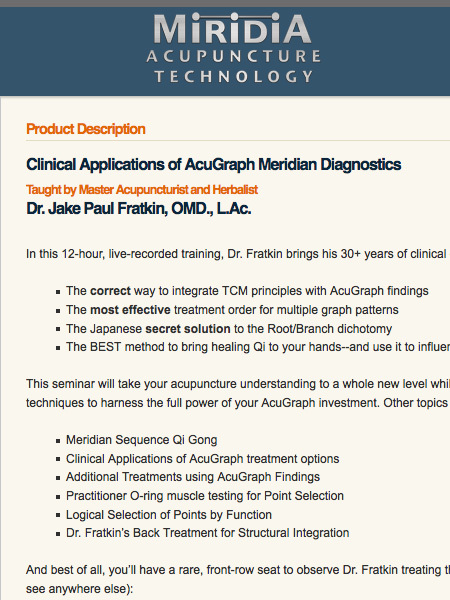 You’ll then explore original and effective formulas from American companies using aspects of modern etiology, physiology and diagnostics.